There were many "Herods" and some are spoken of in the New Testament, which can be confusing. The name “Herod” is mentioned 40 times in the New Testament. 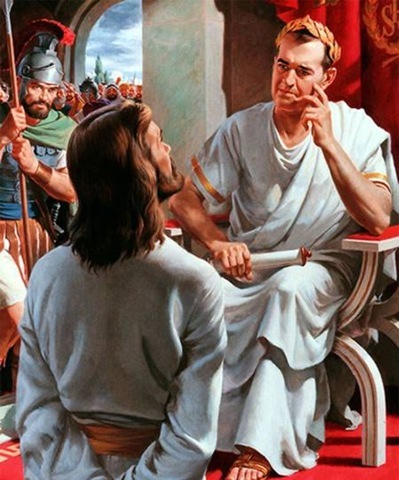 It began with Herod the Great, which is also Herod the King–ref Mt 2:1, Lk 1:5. It is said that he ruled from about 37 BC to about 4 BC. This is the same Herod that reigned before John Baptist was born. It is this same Herod that the wise men came to, and later had the children in Bethlehem and the coasts thereof killed. He died-ref Mt 2:19. Herod Archelaus ruled Judea, Samaria, and Idumea. Herod Philip II ruled north of Galilee–Ituraea & Trachonitis (Lk 3:1). Herod Antipas ruled Galilee & Perea (Lk 3:1). Son of Herod the King. There are other Herods also. lineage of some of them. there are many places where a commentary follows. These add more meaning to the subject of a verse. and just read the scriptures and their breakdown. but knowledge of some subjects would be lost.